Usually the fun of travelling starts when you reach the destination of your trip. Most of the road are on boring buses or sleep-or-fleet flights. And come on. Not everyone can afford cruise to every trip. So, is there any way both luxurious and thrifty? 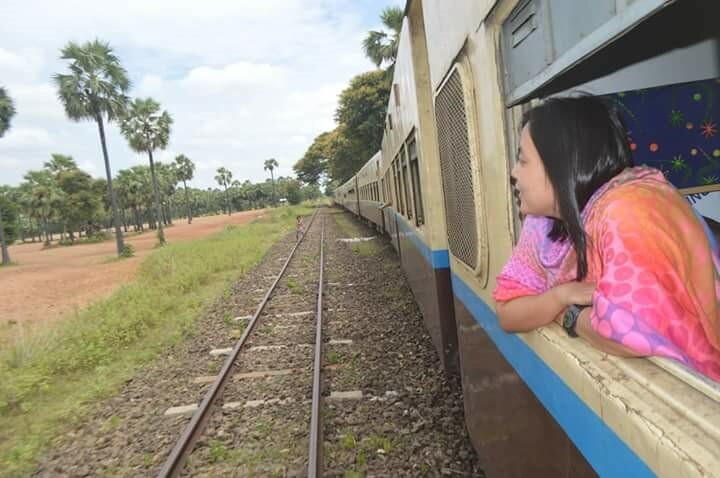 Yes, here is Bagan train which you can relax and enjoy since the first minute of your trip. Though Bagan can be reached by any vehicle, train tops it all in fun and relaxation. Here is the ultimate guide of how to enjoy your trip on train to Bagan. If you worry about the time taken of a train, well. Nowadays, trains and railways are much better so it takes only 7hr 30min more than bus. And those 7hr will be worthwhile with fun and comfort. Moreover, when you start a trip, just don’t count the minutes. Take a breath and start to relax on the train of Bagan. 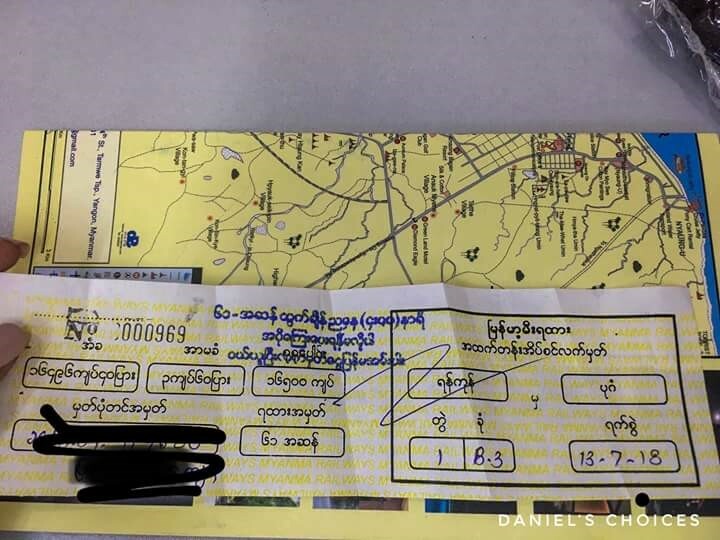 You can buy it at https://myanmartrainticket.com. It has 3 kinds: economy class, upper class, sleeper class. You can go to website, make booking and send us your passport copy, pay onlinevia visa, PayPal, credit card, master card. Then we will take care of the rest and after 1 week, here is you ticket at your door. Super easy!! Start from 20 USD and cheaper than VIP bus. Moreover, the room is private for you and also bed and toilet included.Leaves Yangon at 4pm – 9am of the next day reaches Bagan. If you want to travel with family or as a group, buying tickets for 3 persons will get you the whole railcar. So, it is very private and reasonable. The room and toilet are cleaned after every time the final station is reached. There is also one changing room and one basin. To keep your valuables, there is a nightstand between two beds. If you spread two lower beds, there is enough room for eight persons to sit. Four pairs of pillows and blankets are provided on four beds. You can preorder your meals at train restaurant and they will serve you at your meal time. Varieties of food and drinks are available in fair price. The killing point here is the amazing sceneries on both sides of railway. When you leave Yangon, you will be welcome by green paddy fields lying under the setting sun. The taste of tea while gazing a baby moon that runs after you will be your life long memory. 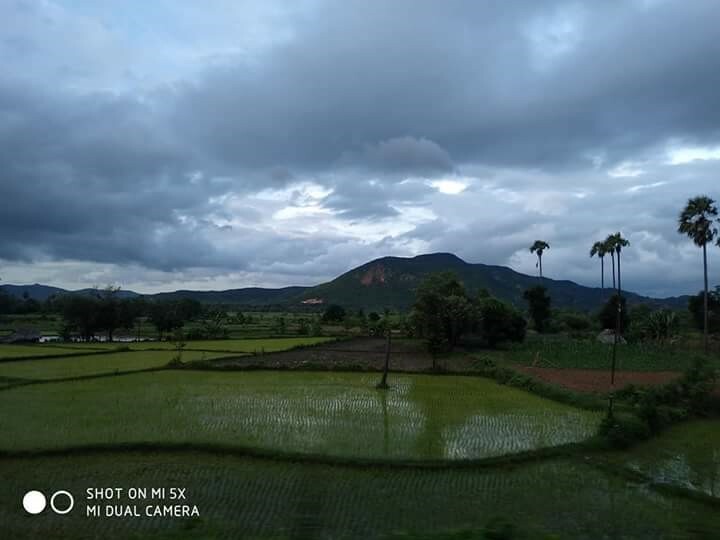 Through the window of the steady train, you can enjoy the life of people in Myanmar and the virgin beauty of nature not only with your eyes but also with your camera. When the night falls, you can chill with your beloved ones while playing board games and singing songs. 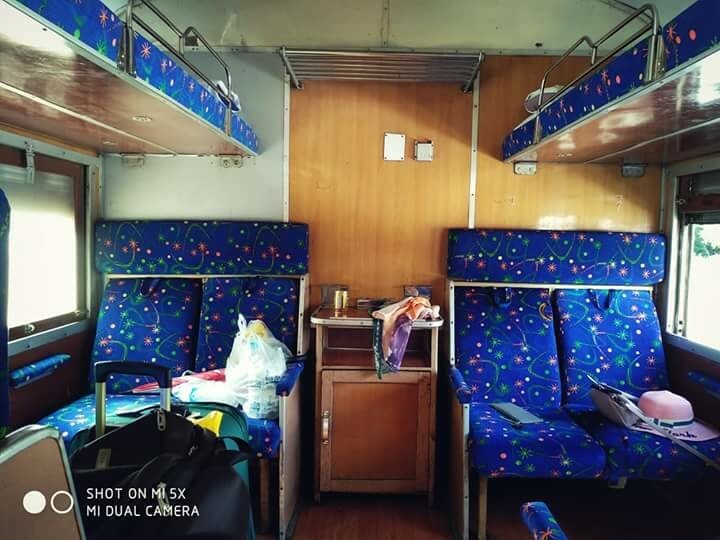 There will be a goodnight sleep on warm and comfy bed with peaceful environment and the slow rhythm of train on smooth railway. In the morning, you will wake up with the kiss from the pinkish sun smiling over the mountains and palm fields. While enjoying the photo worthy sceneries, you can have your breakfast. And when you reach to Bagan, it is right time to check in at your hotel. It is relaxing and you won’t be tired to start your day at Bagan after a goodnight sleep on train. It is private and away from annoying music and troublemaker passengers not like on buses. You can go to toilet at any time so it is very comfortable especially with your children. The price is cheaper but the facilities are better than VIP buses. There will be no problem with food since you can eat your favorite food especially packed meals like family picnic at anytime on the train. The last but not least is that in this autumn season, the sceneries of fields and sky are the best with rainbow colors of clouds. 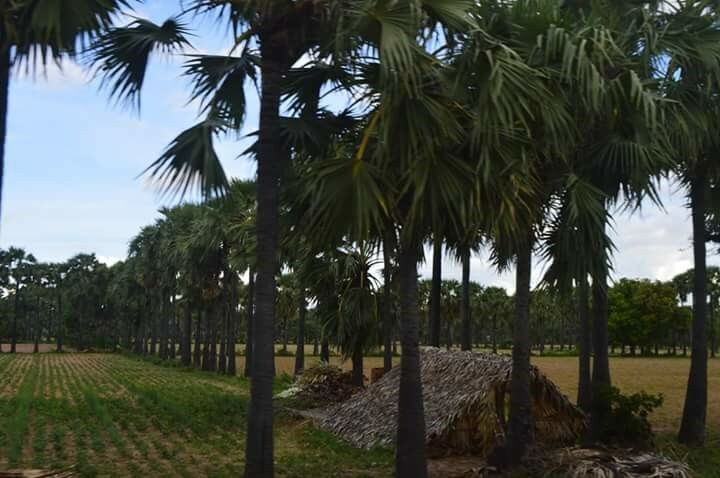 Since the holidays of Thadingyut are coming, please take this beautiful course to Bagan. 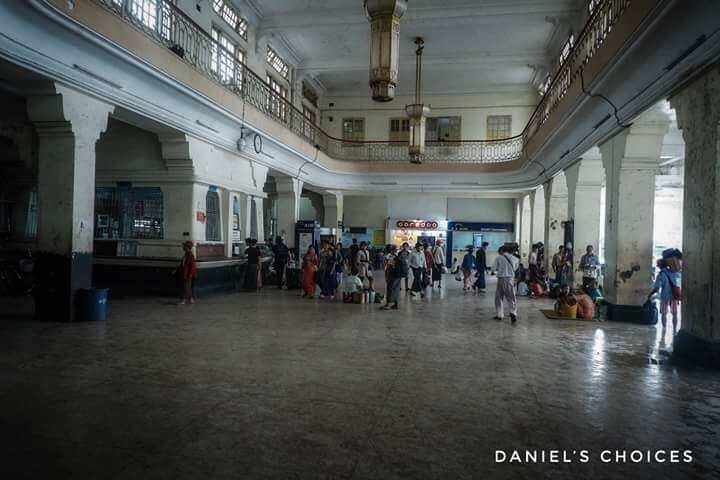 And not to be late in holiday season, please click https://myanmartrainticket.com and book for your favorite train trip.